Our orthopedic surgeons are committed to providing high-quality orthopedic care to help you get back to your optimal level of physical function. 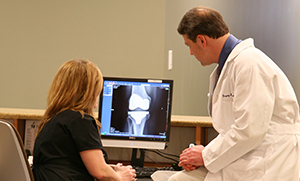 Our orthopedic surgeons use the latest technology to treat conditions of the knee, hip, and shoulder and elbow. 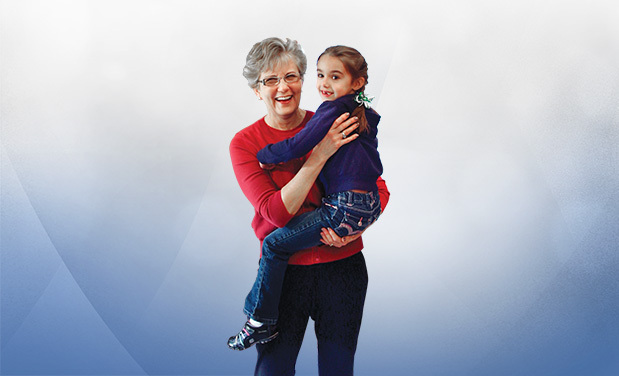 In addition, The Joint Replacement Center provides patients with the latest joint replacement techniques for shorter hospital stays and faster recovery. Working in conjunction with rehabilitative services helps ensure you receive the best care before, during, and after surgery. Our team is here to help you get your get up and go back. The orthopedic surgery team works together to provide the total hip and total knee replacement surgery that’s right for you. To ensure a smooth surgery and recovery, they use nerve blocks to help reduce pain. In addition, they are experts in computer-assisted navigation, which allows for smaller incisions and less post-operative pain. Our surgeons are also experienced in patient-matched cutting blocks for total knee replacement, which reduces the steps and instruments needed for surgery. For non-surgical conditions, we offer Xiaflex injections for patients with Duputryen’s contracture. In addition, patients with osteoarthritis of the knee may benefit from viscosupplement injections. As part of The Joint Replacement Center, our orthopedic surgery team works to provide the latest joint replacement techniques for shorter hospital stays and faster recovery. With orthopedics, imaging, pain management, and therapy services in one convenient location, we can treat you from initial consultation through recovery. Because the orthopedic surgeons work together as a team, they can collaborate on the best way to handle every aspect of your procedure. The orthopedic surgery team is trained in the latest knee replacement technologies: Visionaire, Materialise, and DePuy TruMatch. Working with our orthopedic surgeons, our orthopedic certified registered nurses, registered nurses, patient care techs, physical therapists, and care managers, are all dedicated to providing compassionate care throughout your surgery and recovery. You’ll experience one-on-one care with your surgeon. You’re not just a number; you’re a person, and your surgeon wants to see you through a successful treatment plan. And with the patient education we provide, you’ll have a complete understanding of what to expect before, during, and after surgery. 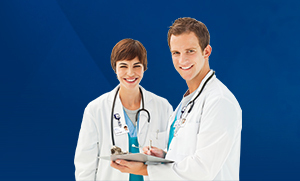 View a full listing of Orthopedics providers. Offers the latest joint replacement techniques for shorter hospital stay and faster recovery.